The SolidBox crew sheds some light on Dell’s Data Protection Service called Keep Your Hard Drive. Your hard drive is important to you. This much we know. With the amount of sensitive company and personal data being stored on that little device, you may not know exactly what to do with it in the event of a computer failure. Often a warranty will cover replacement of a defunct hard drive, but more often than not, companies will opt to forgo that warranty in favor of keeping the device and the information on it, even if it is broken beyond repair. With Dell’s Keep Your Hard Drive data protection service, this issue is no longer a concern. In the event of a hard drive failure, Keep Your Hard Drive allows you to keep the failed drive and replace it. This means that you are in complete control of your data without having to hand over your faulty drive in order to replace it. Once Dell confirms the diagnosis of a failed hard drive, they’ll send you another drive either same day or next day, depending on your service agreement. The broken drive never has to leave your possession, thereby mitigating any risk of data leak or security breach. What if there’s nothing wrong with your hard drive, but the rest of your computer needs to be replaced? Simply eject the drive and send in the rest of the computer. If a replacement is necessary for the whole system, Dell will work with you and let you decide whether to use the old drive with the new system or send a brand new drive with the replacement computer. Dell’s Keep Your Hard Drive service is designed to comply with current data privacy regulations and internal privacy policies by preventing your hard drive data from being compromised in any way. Since the owner of the failed drive retains possession, data that is classified, proprietary, or sensitive is ensured to remain just that. The owner of the drive is then free to dispose of the drive and sensitive data how and when they wish, on his or her own terms. Dell’s Keep Your Hard Drive service is yet another link in the chain of protection provided by Dell to ensure that computer problems will be less of a headache than ever. In conjunction with Dell ProSupport and Dell Complete Care Accidental Damage Protection for laptops, the Keep Your Hard Drive service completes the trifecta of tech, hardware, and data support that makes Dell the industry leader in getting you back to work. 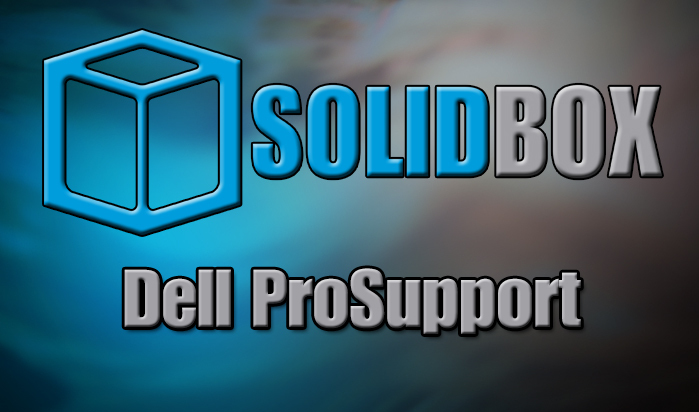 Every SolidBox workstation comes standard with Dell’s Keep Your Hard Drive service, Dell ProSupport, with the addition of Dell Complete Care on all SolidBox laptops.